The MobileTrace® Explosives is a chemical detector designed for dedicated screening of explosives at high security environments. It detects all major classes of explosives including peroxides, nitrate based and plastic explosives, as well as precursors and taggants. 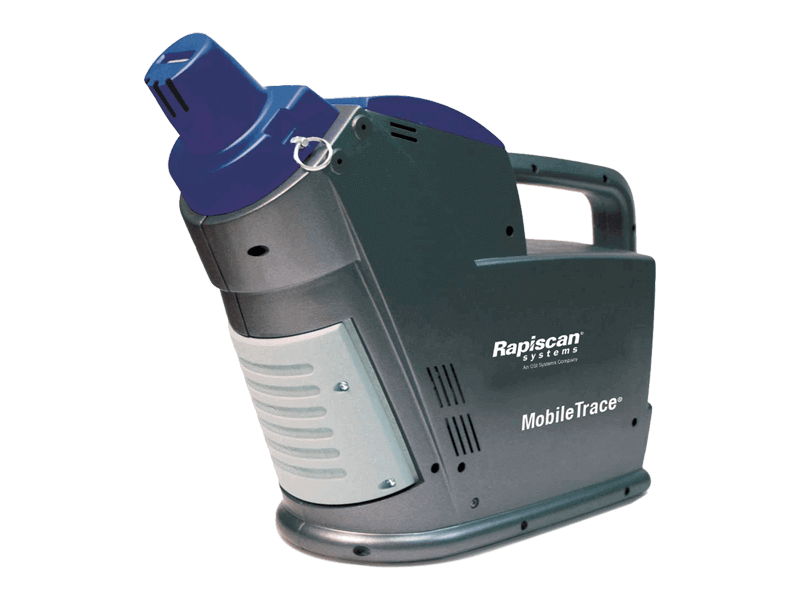 The MobileTrace® Explosives includes Rapiscan® Systems tested and widely adopted ITMS™ technology with simplified sample results. With just two simple trigger buttons and a simple operating process via the color LCD touchscreen, the unit provides will give strong visual notifications of alarms, without the need for technical analysis. The MobileTrace® Explosives also allows supervisors to create consistent directives throughout a fleet of trace devices, minimizing variability and reminding end users of the correct protocols and response to operational warnings. Since the 1990s, Rapiscan® Systems ITMS™ core technology has been adopted by governments around the world as a reliable, tested, and proven method to screen for trace levels of explosives. We are proud of our track record, and work with customers to deploy accurate, safe, and scientifically-validated technology.